rig and better performance that the standard model. ?Space? 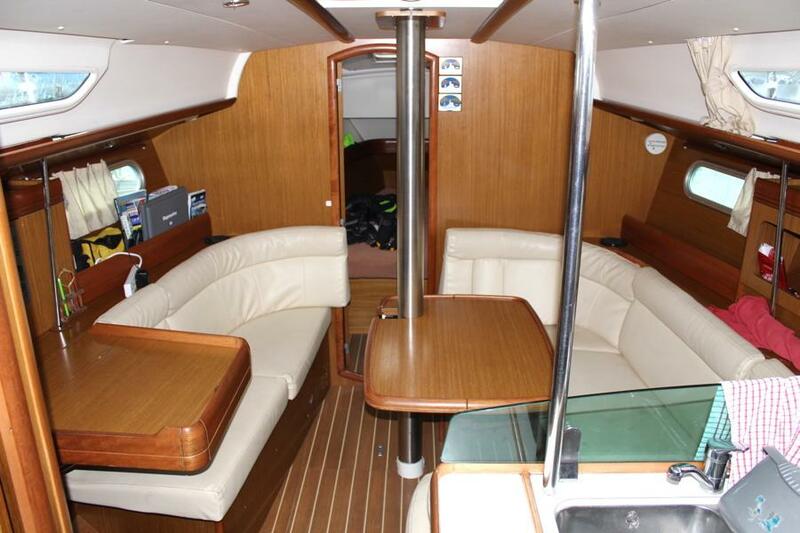 has the 3 double cabin layout and is well equipped. UK VAT paid. 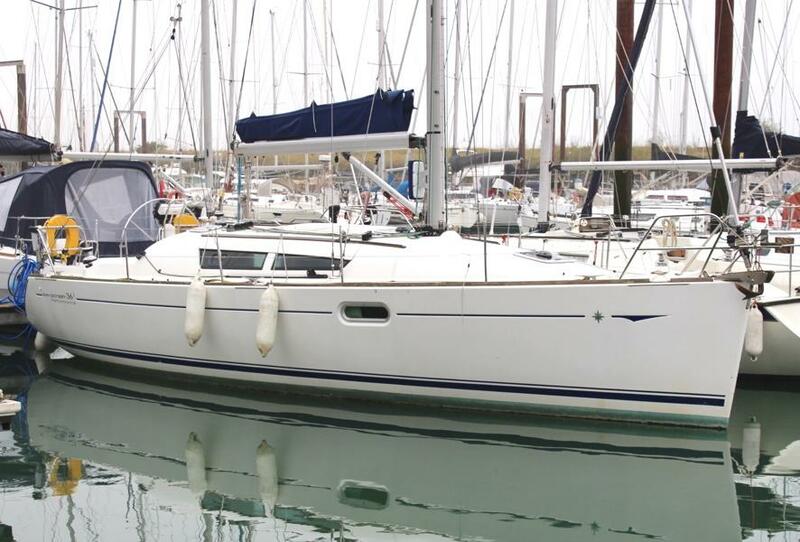 Designed by Marc Lombard, built by Jeanneau, France. 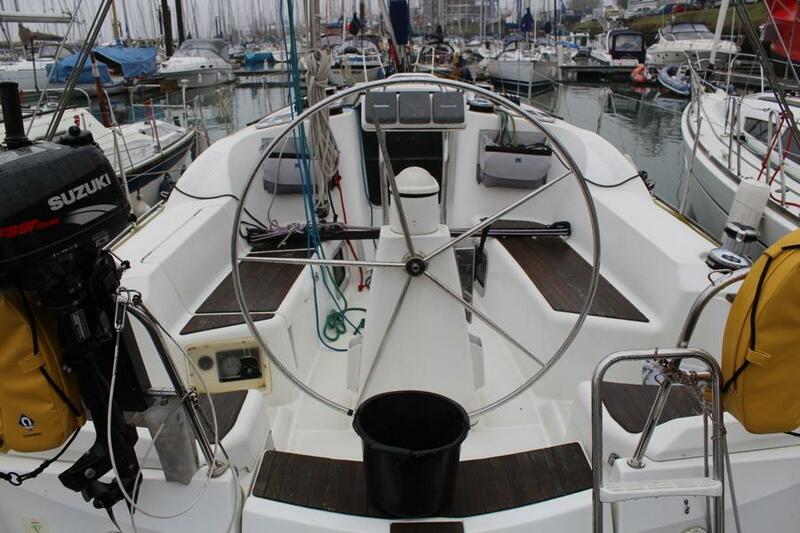 Spade rudder with wheel steering. Emergency tiller. 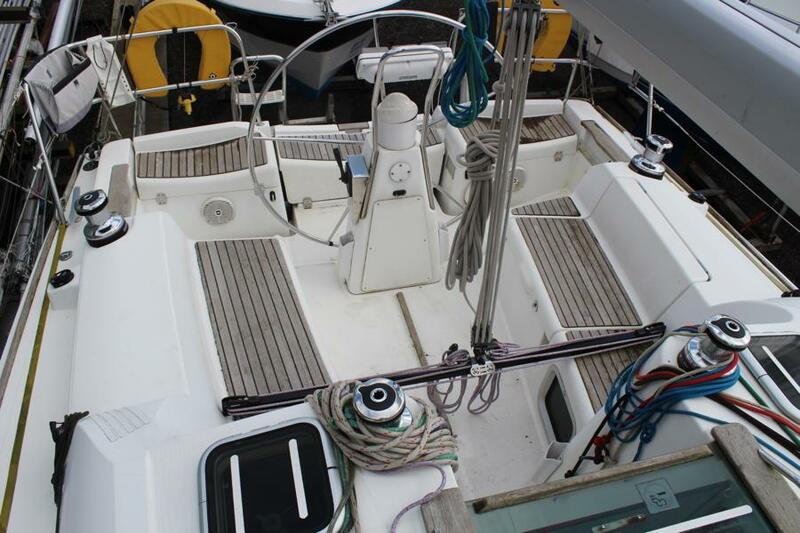 White GRP deck, superstructure and self draining aft cockpit. GRP internal moulding. Teak internal joinery. Sony stereo radio CD player with saloon & cockpit speakers. 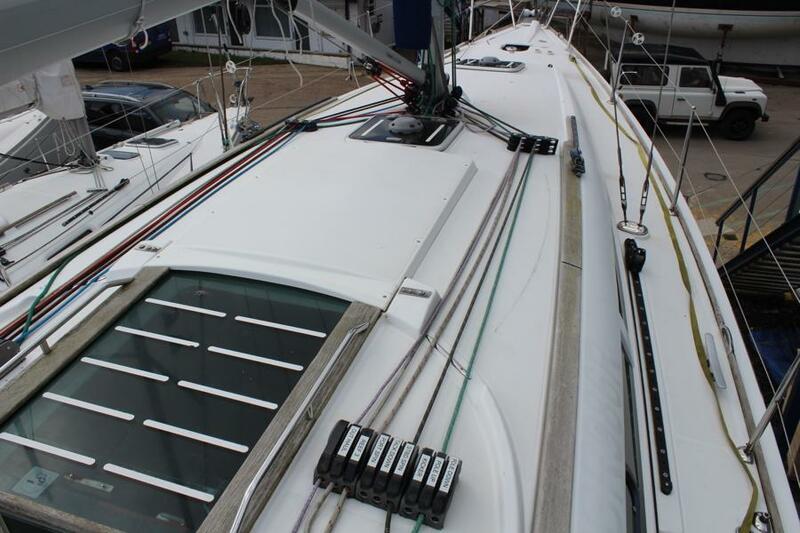 3 x opening deck hatches for ventilation. 4 opening ports. 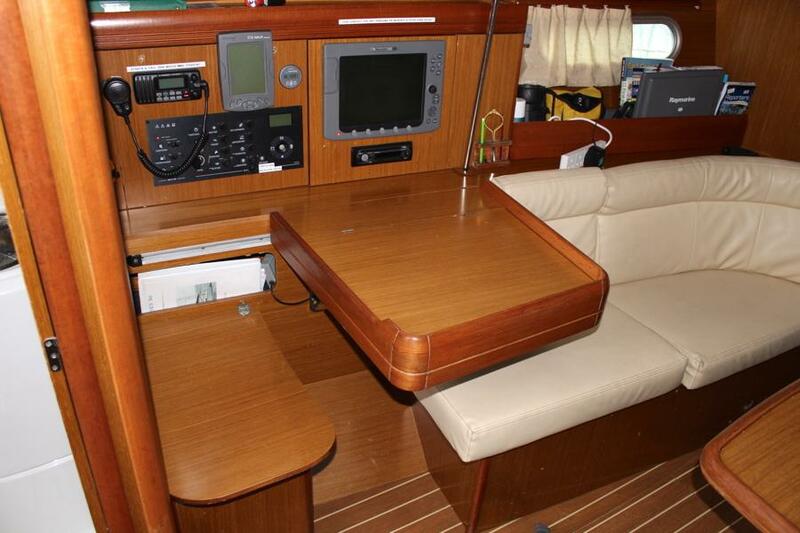 Saloon - C shaped settee to starboard with saloon table, seating to port for two with chart table aft, switch panel and instruments. 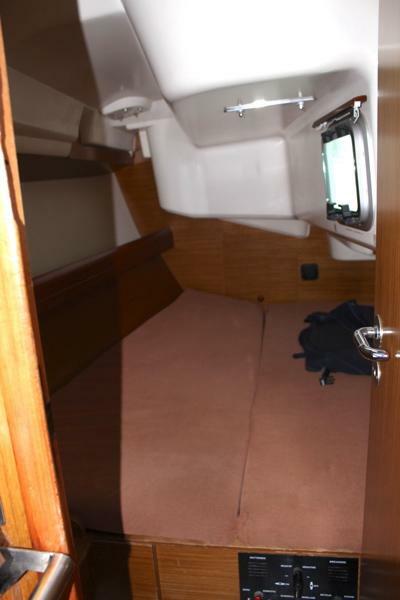 Galley L shaped, aft to starboard with large top opening 12v refrigerated coolbox. 1 ½ s/s sink with H & C water. 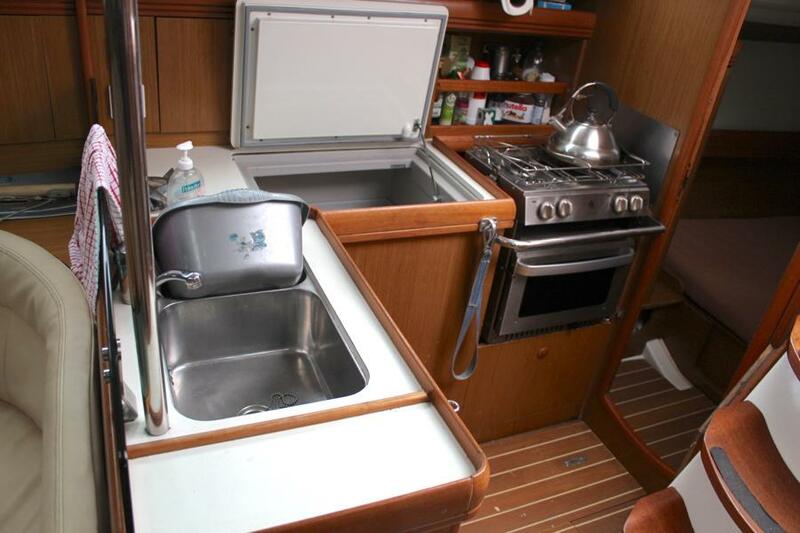 Plastimo Neptune two burner gimballed gas cooker with oven and grill, storage lockers outboard and beneath worksurfaces. 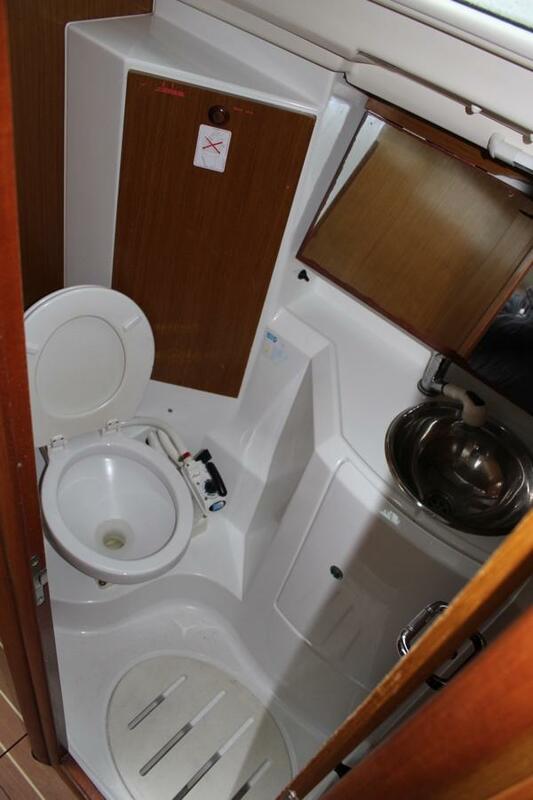 Heads to port equipped with wash basin, Jabsco manual sea toilet piped to holding tank, stowage lockers, shower with shower drain. 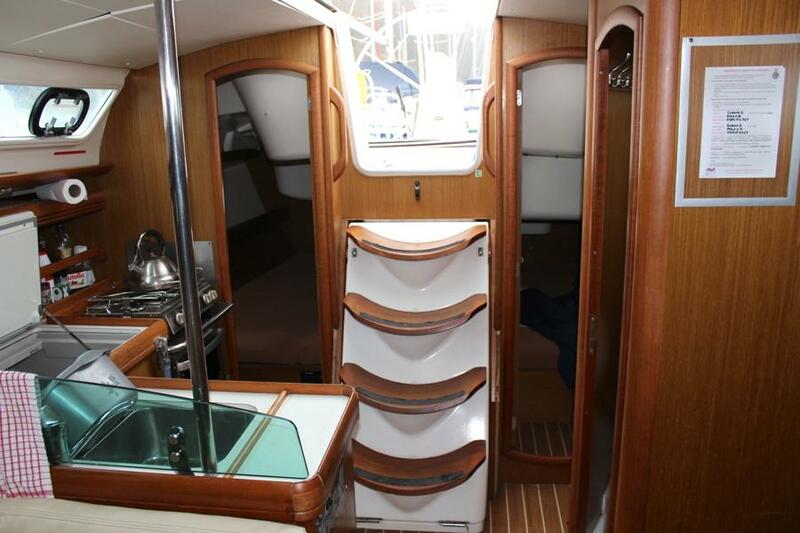 Aft cabins to both port and starboard, each with large double berth, shelving and hanging locker. 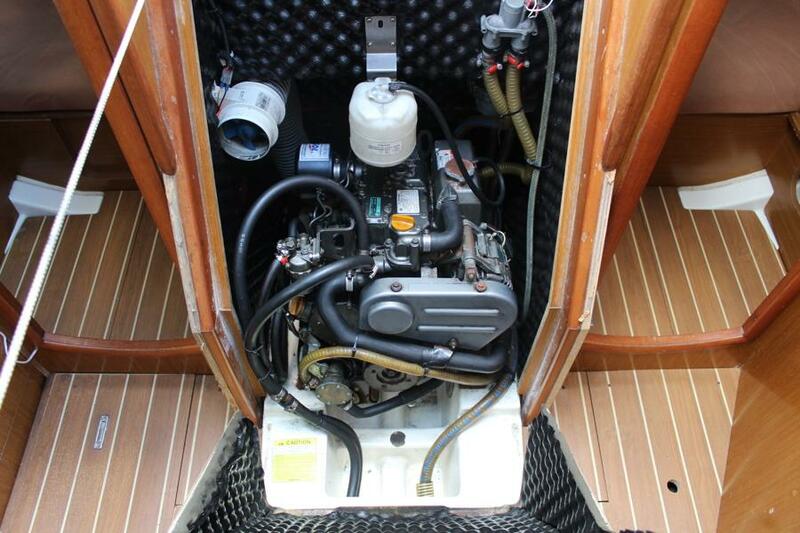 Yanmar 3YM30 29HP three cylinder diesel engine. 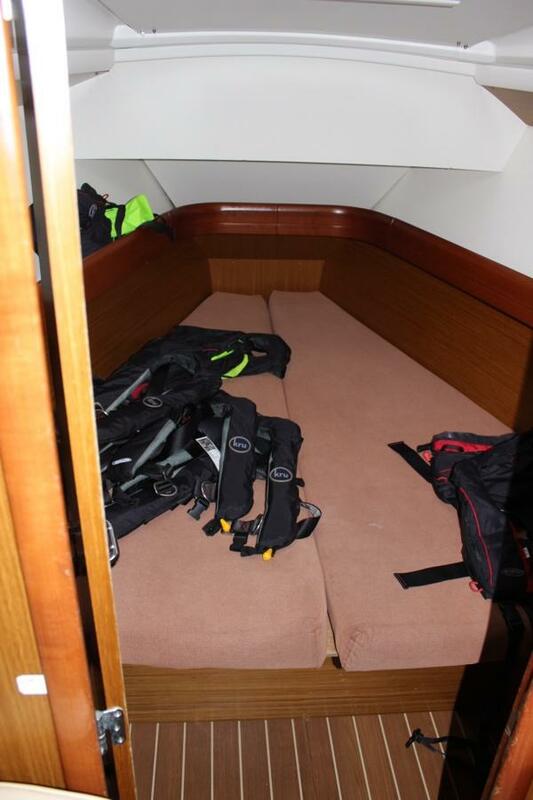 Access beneath hinged companionway steps. Fresh water heat exchanger cooling with wet exhaust.. 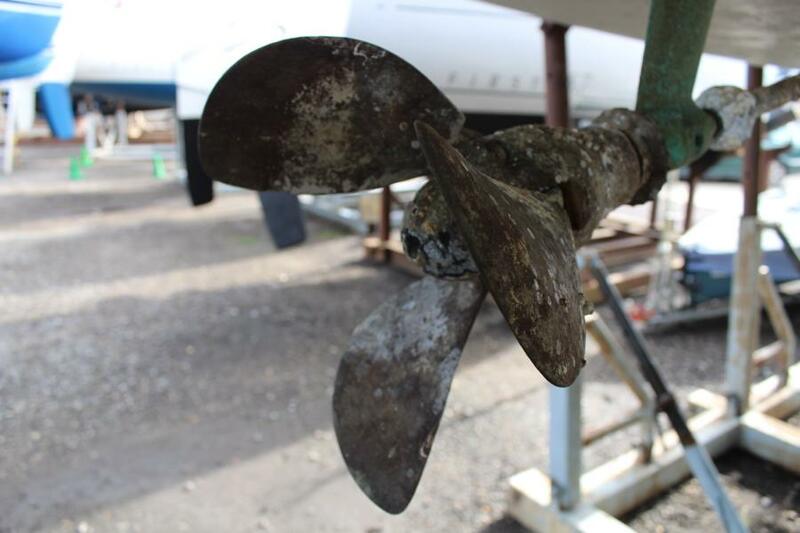 Reversing reduction gearbox with shaft driven 3 bladed folding propeller. Engine hours not known, regularly serviced. 12 volt system – 2 x 12v service batteries 1 engine start battery. Charging by engine driven alternator. Isolation switches & distribution panel. 12v socket. Interior lighting throughout. 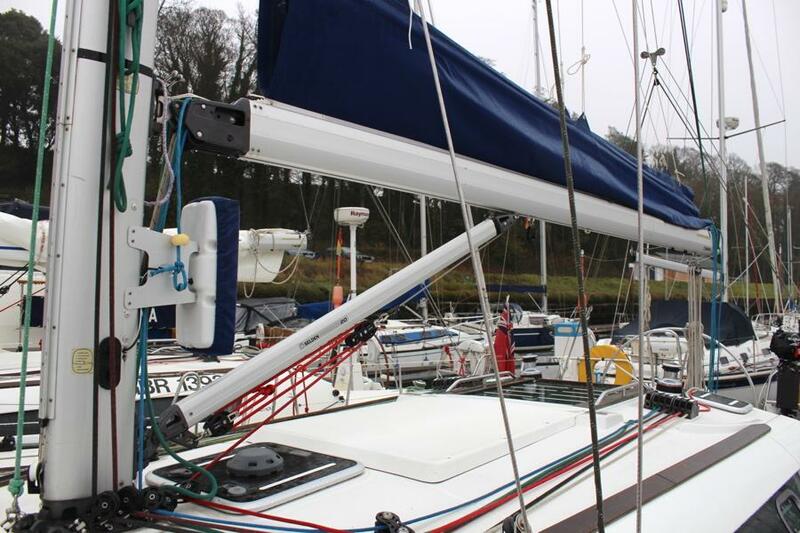 Navigation lights including bow, stern, steaming, deck and masthead Tri/white light. 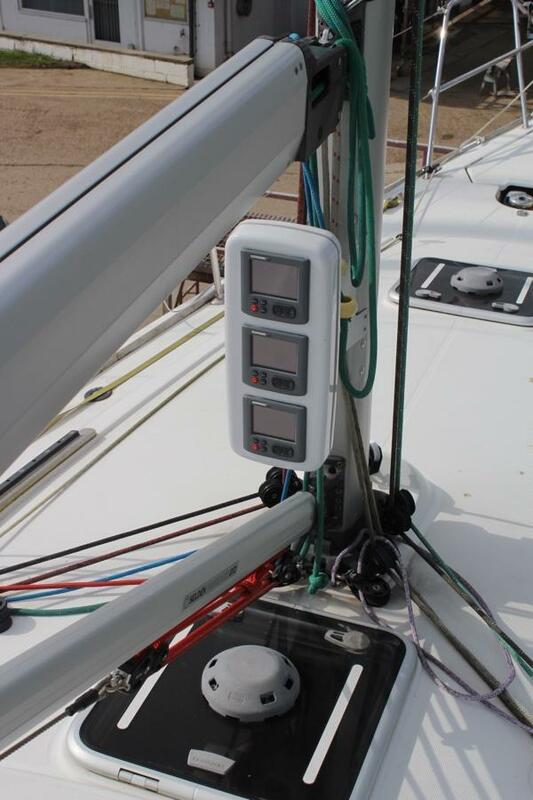 240 volt system – Shore cable and connection, RCB, sockets below, battery charger and immersion heater in calorifier tank. 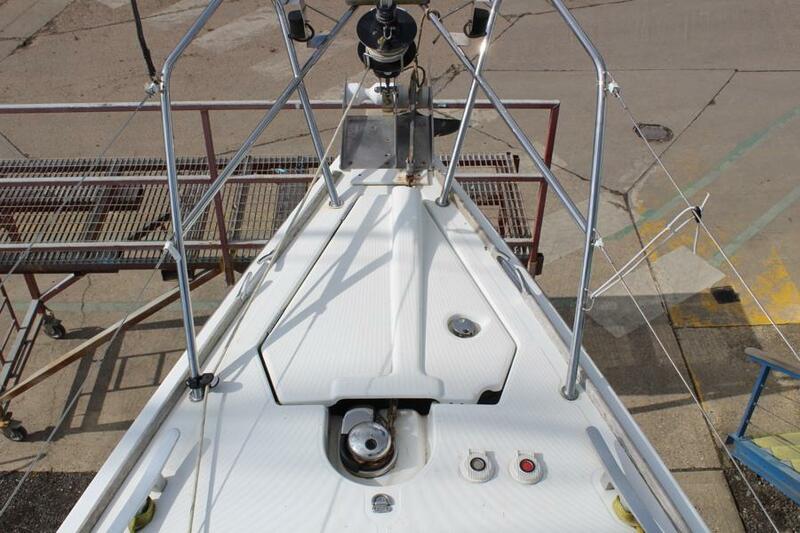 Selden alloy double spreader mast with pole track. 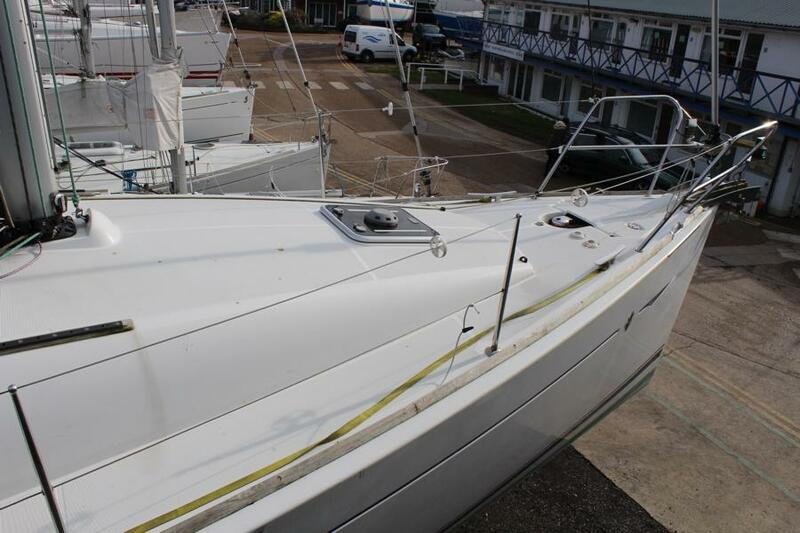 Slab reefing boom with 2 x single line reefs. 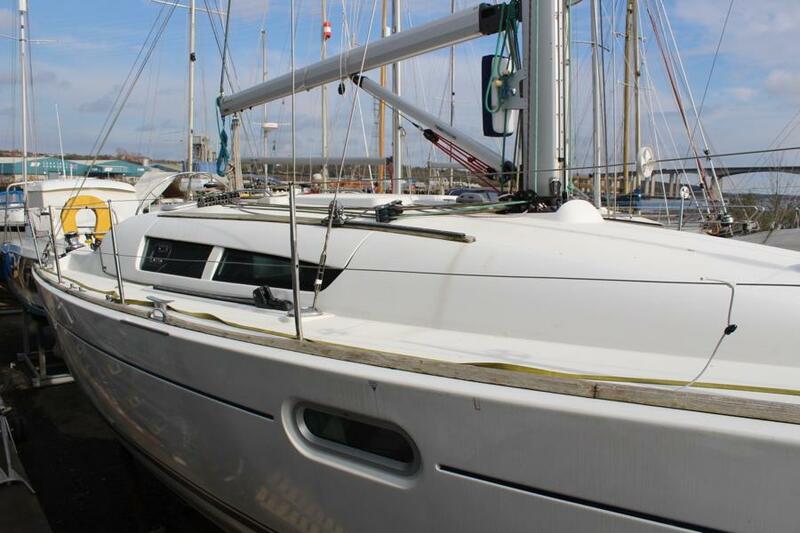 Facnor LX165 twin groove furling headsail system. 1 x 19 stainless steel wire standing rigging, original checked Sept 18. New lower shrouds approx. 2016. 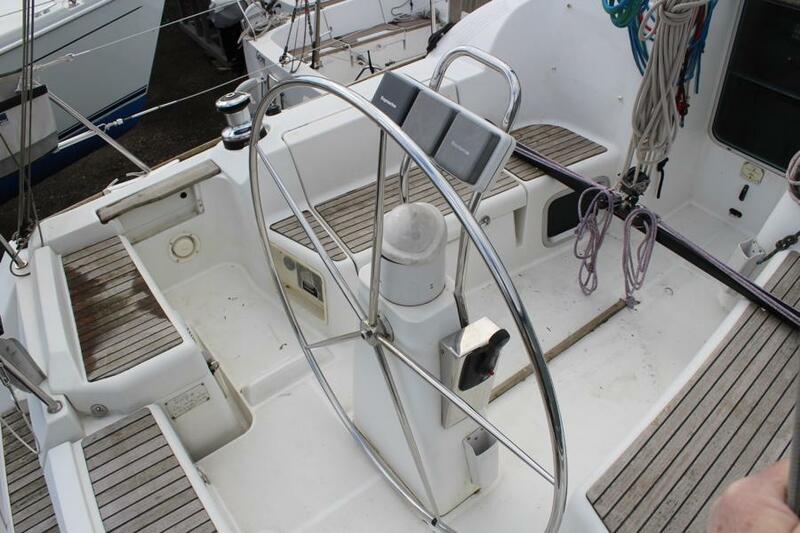 Terylene running rigging, all controls led back to 16 Spinlock cockpit clutches. Asymmetric running gear. 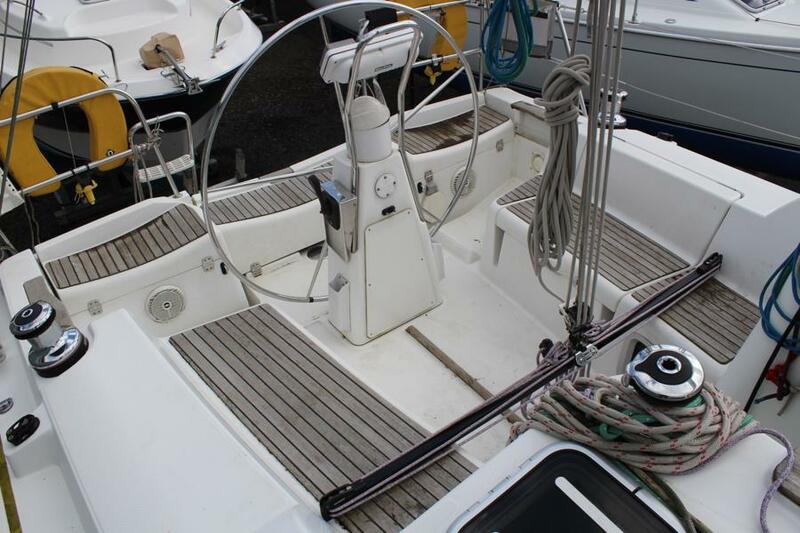 Genoa tracks adjustable from cockpit Solent jib tracks. Stainless steel pulpit, split pushpit, stanchions & guardwires. 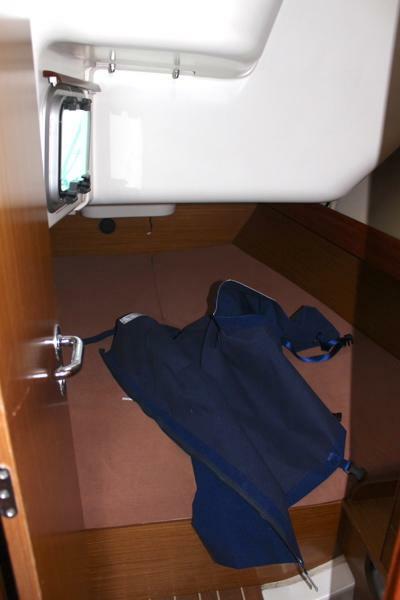 1 x cockpit seat locker, gas locker & deep stern locker..